Charles J. “Coach” Abramski Jr., 86, went to be with the Lord on Saturday, May 12, 2018, at Arista Care at Hillsdale Park, where he has resided for almost 10 years fighting a battle with Alzheimer’s disease. Son of the late Charles J. Abramski Sr. and Marian Small Abramski, Chuck was born in New Castle on August 29, 1931. His beloved mother passed away when he was 10 years old. Chuck and his sister, Laura (Lori) Abramski Csiszer, were raised by their grandmother, Anna Small Krezo. Chuck was an excellent athlete and played football as an end for New Castle High School’s champion teams from 1947 to 1950 under coach Phil Bridenbaugh. He was awarded a full scholarship to Akron University and played football there and joined Lambda Chi Alpha Fraternity. After a stint in the U.S. Army Signal Corps during the Korean War from 1953 to 1955, Chuck married Theresa Sparano on July 30, 1955. They were blessed with 48 years together until her passing on December 3, 2003. Education was very important to Chuck, and he attended Slippery Rock State College in 1952, Kent State University in 1958, Penn State Extension in New Castle from 1960 to 1961, Youngstown University in 1962 and California State College in 1977. He received his B.S. in education from Akron University in 1957. Before entering the field of education, Chuck worked at the B&O Railroad in New Castle; Youngstown Sheet and Tube, B.F. Goodrich and Mohawk Tire and Rubber Co. He began his teaching career at Suffield High School in Suffield, Ohio. He taught science, world history, government and high school physical education. He served as head football coach, head track coach and assistant basketball coach from 1957 to 1959. In 1959, Chuck landed a job at his alma mater, New Castle High School, where he taught physical education, health and safety. 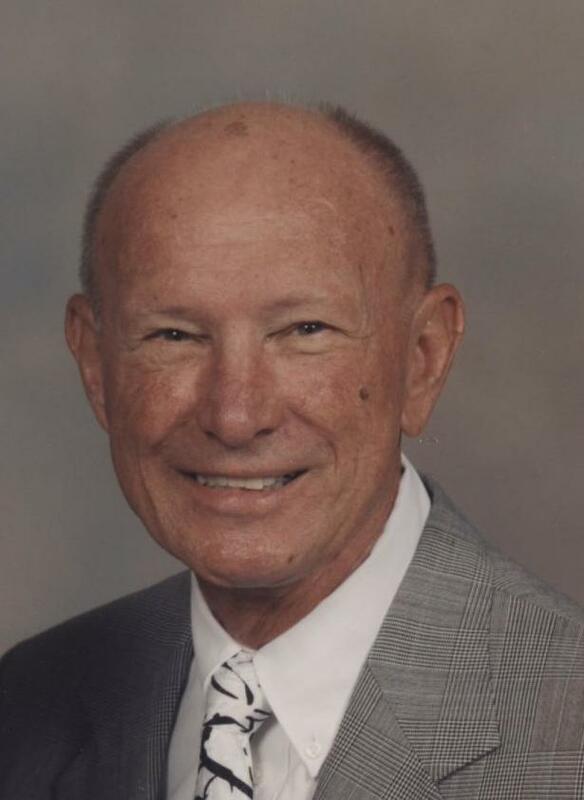 He served under well-known New Castle football Coach Lindy Lauro as his assistant from 1959 to 1965 as well as serving as assistant track coach. In 1965, Chuck left his beloved New Castle to take on a new challenge as head football coach at New Brighton High School. In the three years that he was head coach there, he produced three winning seasons (8-1, 7-3, 8-0-2). He was awarded coach of the year in 1965. He also sent one of his outstanding players, Ron “Po” James to New Mexico State, where Po excelled and went on to play in the NFL for the Philadelphia Eagles. Instead of staying at New Brighton to continue the winning tradition Chuck again took on a new challenge. He accepted the head coaching position at Brownsville High School in 1968, where he made great strides, even though winning records were not to be. His greatest accomplishment at Brownsville was the amount of college football scholarships he was able to help his players achieve. Chuck coached at Ringgold until 1976 and retired from teaching in 1982. He continued to coach as an assistant at Elizabeth Forward and Belle Vernon School Districts, along with a two-year stint as an assistant football coach at California University of Pennsylvania from 1981 to 1983. He subbed at a few Mon Valley high schools and coached one more year at Yough High School in 1986 and 1987. In 1989, he took on a new career as a real estate agent. One of his proudest days of Chuck’s life was on April 27, 1997, when he was inducted into the Lawrence County Historical Society’s Sports Hall of Fame. In 1999, he and his wife, Theresa, moved back to New Castle to enjoy their retirement. Chuck attended First United Methodist Church of New Castle and was a member of the Sons of Italy. Following his wife’s death in 2003, Chuck lived in New Castle until 2007, when he went to live at Moorhead House in Indiana, due to the onset of Alzheimer’s disease. In June of 2008, Mountain View Nursing Home, now known as Aristacare at Hillsdale Park, became Chuck’s home. In the past 10 years, Chuck received the most loving and devoted care and became a favorite patient known to all as “Coach.” Chuck’s family is forever grateful to all of the staff at Aristacare for their many years of exceptional care and love for him. Chuck was preceded in death by his wife, his mother in 1941, his father-in-law, Francis A. Sparano in 1974, mother-in-law Fortunata Sparano in 1993 and many special uncles and aunts. Chuck is survived by four children; Marian Fiscus and husband Richard of Indiana; Patricia Rumbaugh and Tom of Takoma Park, MD; Charles J. Abramski, III and wife Kenna of Sutersville; Carolyn Abramski and husband Joe Vondrick of Daytona Beach, FL; seven grandchildren, Alexander Rumbaugh, Sarah Rumbaugh, Cassandra Abramski, Kristen Abramski, Adam Fiscus, Ben Fiscus and his wife Lindsay and Kaia Abramski; one great granddaughter Myla Anthony; one sister Lori Csiszer of Redondo Beach, CA; and three nieces, Lynn Betty, Kimberly Perry and Laura Schwab. Many of Chuck’s cousins also survive. Friends will be received on Monday from 1:00 to 3:00 p.m. at Robinson-Lytle, Inc. in Indiana where a funeral service will be held at 3:00 p.m. with the Rev. Michael Watts officiating. A graveside service with military honors will be held at Oak Park Cemetery in New Castle on Tuesday, at 11:00 a.m.
Memorial contributions may be made to a charity of one’s choice or to the patient fund at Aristacare at Hillsdale Park in memory of Chuck Abramski, or to Penn Hospice.